Before you can add groov I/O modules to the configuration, you'll scan the I/O modules to discover what's installed on the chassis. 1. 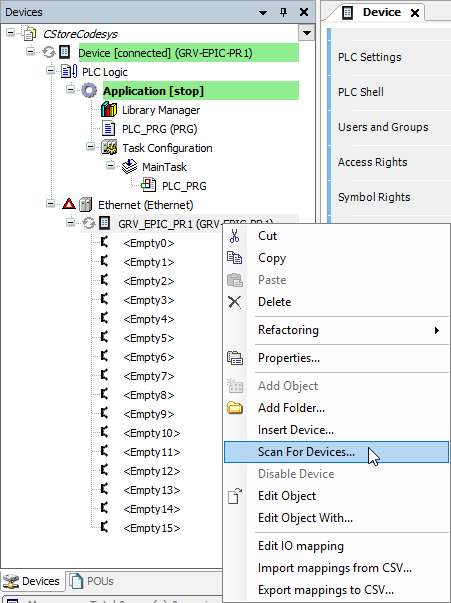 Under Ethernet(Ethernet) in the Device tree, select GRV_EPIC_PR1 (GRV-EPIC-PR1), right click, and select Scan For Devices. 2. The Scan Devices window displays a list of the groov I/O modules that are installed on the groov EPIC chassis. Click on Copy All Devices to Project. Note: If the I/O module list does not appear, select the Scan Devices on the bottom left of the screen. 3. 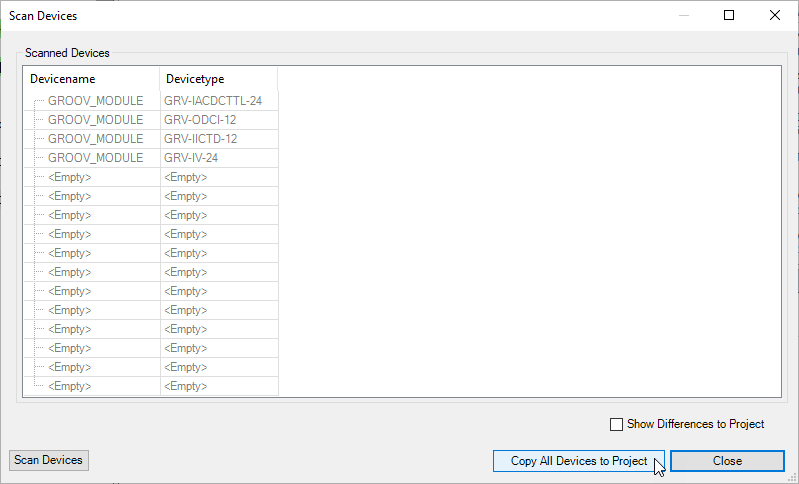 The groov I/O modules are added to the Device Tree under GRV_EPIC_PR1(GRV-EPIC-PR1). 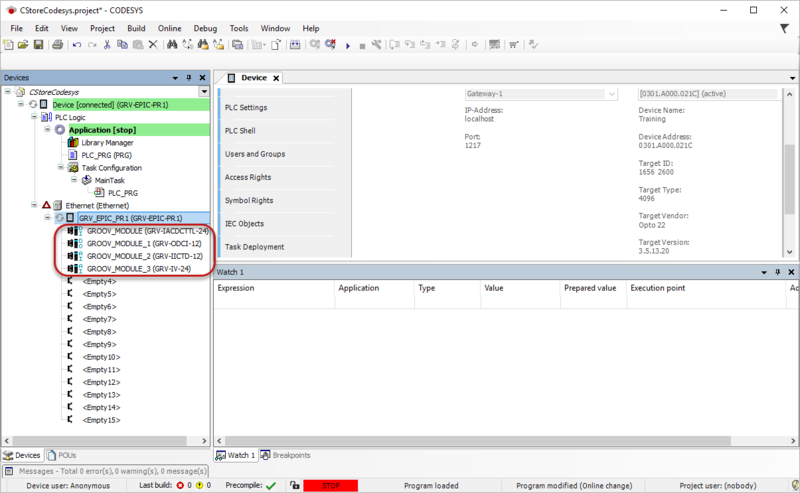 You’re now ready to go Offline (Logout), and configure the I/O for programming. Now that the groov I/O modules have been added to the project, they are ready to be configured for programming, which includes naming them. Steps to add the groov I/O modules to the configuration.